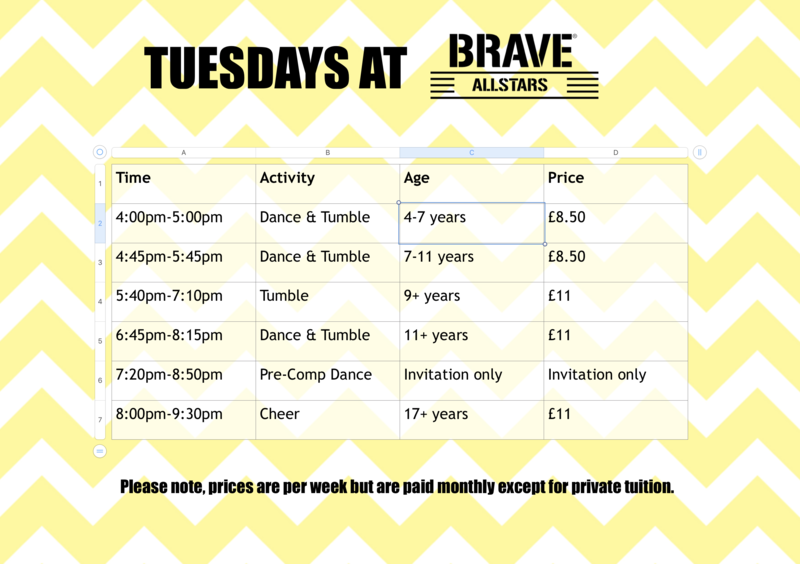 Brave Allstars, Norwich’s only dedicated Cheerleading, Tumbling and Dance facility. 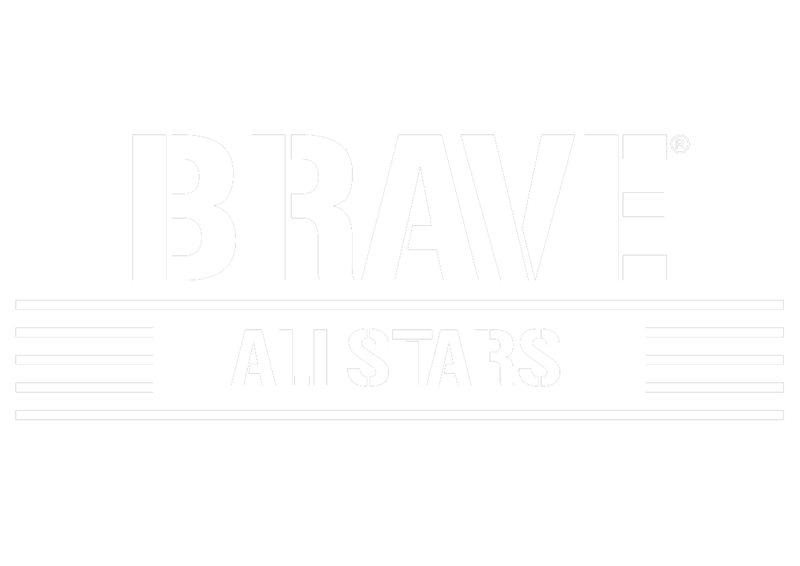 Our mission at Brave Allstars is to teach each and every athlete the value of commitment, integrity, teamwork, leadership and responsibility, all while promoting self-confidence, a positive attitude and a love for the sport along the way. Our staff strive to help athletes achieve their goals in a family friendly safe and fun environment. 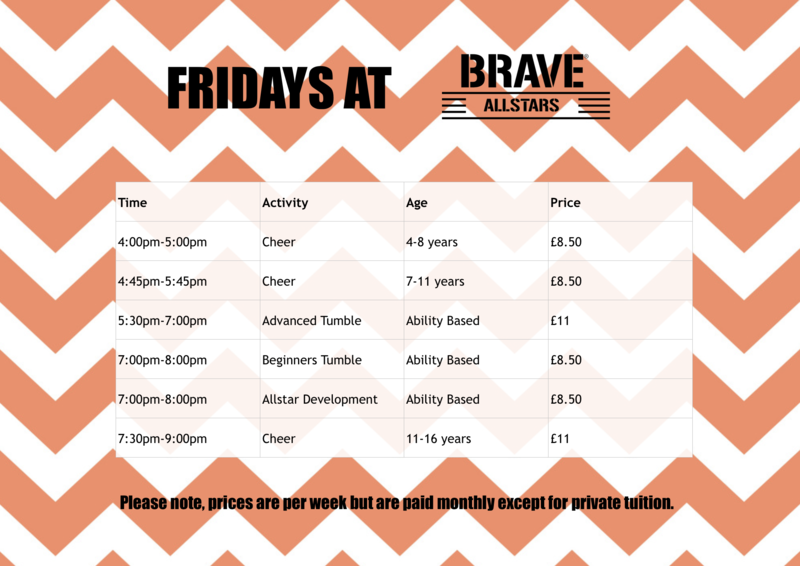 With Brave Allstars, you will gain life lessons that you’ll take with you far beyond your years of Cheerleading or Dance. 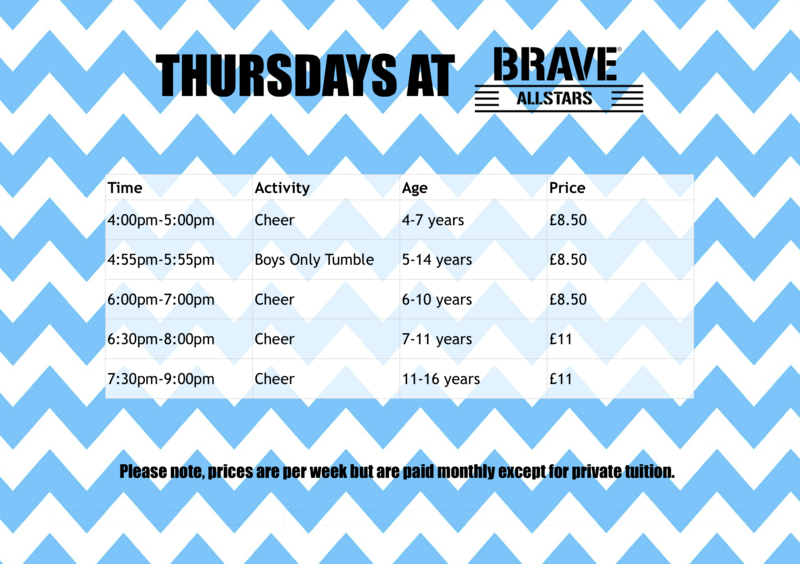 Becoming a part of Brave will go above and beyond what you would typically expect from joining a sports club; it’s more than a new skill or a trophy. It’s building friendships that will last a lifetime, learning from coaches that will put their full support and belief in you and most importantly, will never give up on you and teach you to never give up on yourself.